After establishing your dream small business enterprise, you must ensure that it flourishes regardless of the circumstances. To ensure that you thrive in situations such as working capital shortage, a lack of finance to pay your vendors, or insufficient finance to acquire machinery, you must know the right sources of finance to tap into. With the right aids you can fuel your operations and see to it that your resources are used optimally. This in turn helps in achieving economies of scale and lets you enjoy higher profitability. 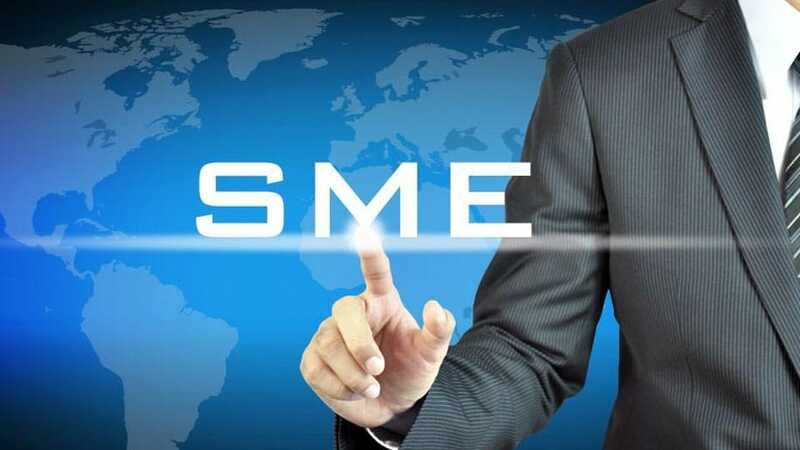 So, take a look at the SME loan options that you should know of to tackle every eventuality with ease. Working capital is at the core of any business enterprise and so, functioning without it is impossible as you need it for everyday tasks such as paying staff, buying inventory, paying utility bills and more. A shortage of working capital can harm your productivity and result in decreased profitability. To avoid such dire situations, have a sound business and financial plan. Consider accounting for working capital requirements needed for 6 to 9 months in advance. At the first signs of strain, avail assistance in the form of a Working Capital Loan from lendersto gain access to up to Rs.30 lakh at reasonable interest rates. Also, with the Flexi Loan Facility, you can reduce your interest outgo by withdrawing as per your needs and paying interest only on what you use. Moreover, you can pay interest-only EMIs and repay the principal at the end of the tenor. As a small business owner you may struggle to pay your vendors on time owing to many reasons. It may be that payments from clients haven’t come through or you’ve experienced a slump in sales. However, not paying vendors not only harms your relationship with them, but also tarnishes your enterprise’s reputation in the market. Some vendors may also withhold the supply of raw materials or other products and services to your organisation. To avoid this outcome, make sure that you leverage lengthy payment tenors with your suppliers and have a supply manager to ensure things are moving as per schedule. In case you can’t help but borrow finances, rely on financing from NBFCs. It’s collateral-free and comes with easy online application, quick approval and speedy disbursal. Sometimes your debtors may not be able to pay you on time. While your accounts receivable are current assets, they’re of no use to you if you can’t realise them. So, to prevent this from derailing and lengthening your cash conversion cycle, you must have smart payment collection measures in place. Sell goods on shorter credit, hire debt collectors, follow up regularly, accept various modes of payment and incentivise advances. Alternatively, bridge short-term requirements by availing Supply Chain Financing from reputed lenders who offer significant amount at affordable interest rates without any collateral. As a business owner, a shortage in the output of final goods means that you’re not capitalising on the demand, and hence are not making the maximum profits that you can. If you identify this as a problem area, study what is going wrong be it a lack of skilled labourers, lack of a smart manufacturing process or outdated machinery. Address this issue by hiring more skilled labourers and technicians and replacing or overhauling your machinery. If you need adequate finance to do so, avail a Machinery Loan from lenders to buy/lease equipment, maintain it and train employees on its use. What’s more, apart from easy eligibility and quick approval, you can enjoy a convenient repayment tenor too.